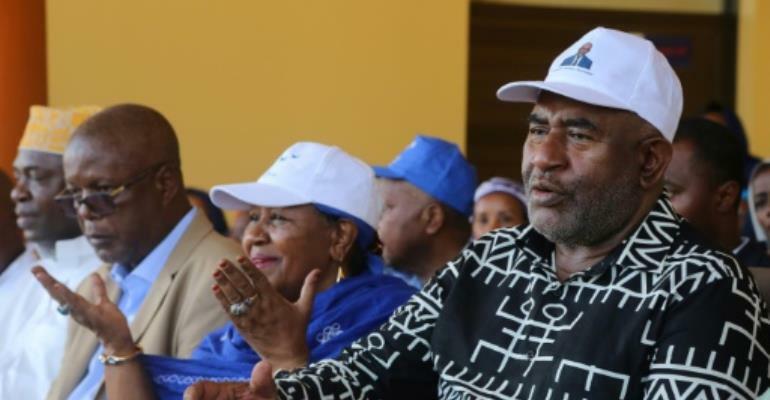 Two "assailants" and a policeman were killed and two people injured in violence in Comoros Thursday, a minister said, after a defeated presidential candidate bidding to unseat the president was arrested. The Indian Ocean nation is in the grip of a political crisis following President Azali Assoumani's victory in Sunday polls that his opponents say was rigged and led rivals to unite against him. 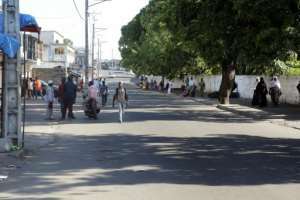 One of those hurt Thursday was a policeman who suffered minor injuries while another "assailant" was badly hurt following an exchange of gunfire near a barracks in the capital Moroni, Interior Minister Mohamed "Kiki" Daoudou told journalists. "The situation is under control, an investigation is underway," he said, urging people not to assume the bloodshed was linked to the opposition leader's arrest. Soilihi Mohamed is a widely respected former colonel who was named head of an opposition transitional authority hoping to unseat Azali. 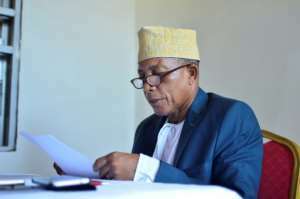 A group who attempted to help former major Faissoil Abdou Salam, jailed for plotting against Azali, to escape from Moroni prison were responsible for the exchanges of fire, a source said ahead of Daoudou's briefing. 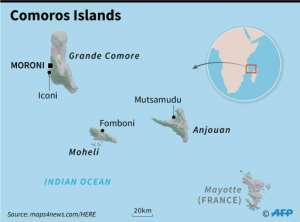 Civilians deserted the streets of Moroni, police fired teargas and taxis stopped working, an AFP correspondent saw, during two hours of gunfire around the Kandani base. "The March 24 vote was a deceit, a shameful charade... We will organise resistance," Mohamed, the leader of the opposition "transitional administration", said Thursday, calling for "civil disobedience" if the poll result was not overturned by April 3. He remains in police custody, according to a military source. His transitional body is backed by all 12 of the defeated presidential candidates and has pledged to manage a "peaceful transition" and "resolve the post-election crisis". A Western source in Moroni said there was "major confusion" during the unrest. "A dozen or so heavily armed men tried to seize a barracks following the arrest of the colonel (Soilihi Mohamed)," they said. Protesters took to the streets of Moroni's northern TP district, and the presidential palace at Itsandra was locked down following the disturbances. Earlier, police broke up a women's protest march and arrested 12 demonstrators. The opposition has flatly rejected Azali's victory as the angry mood threatened to erupt into violence on the archipelago nation. Iain Walker, a researcher at the Martin Luther University Halle-Wittenberg, said a power shift to the opposition council "would probably require support from the army -- which seems to be pro-Azali for the moment". Opposition council leader Mohamed had previously said that Azali's rivals would "use all peaceful means to oust the government". Azali initially came to power in a coup, then ruled the country between 1999 and 2006, and was re-elected in 2016. He left his 12 poll rivals trailing on Sunday. Both observers and community groups have questioned the credibility of the election, which saw Azali declared the winner with almost 61 percent of the vote. The result, from a turnout of just under 54 percent, meant he does not need to contest a second round. Polling stations were ransacked, ballot boxes stuffed by police and observers prevented from overseeing the integrity of the vote, according to several witnesses. Interior Minister Daoudou has dismissed criticism of the polls' conduct and declared: "It's not the street which rules the country." The change upset a fragile balance of power established in 2001 that sought to end separatist crises.